The Nokia Lumia 1020 is now $609 without a contract at Amazon. That’s $40 lower than the original price when it launched in July. We’re not sure how long this deal lasts, so now may be a good time to click the checkout button. 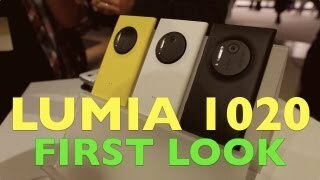 The Nokia Lumia 1020 features a 4.5-inch AMOLED display, 2GB of RAM, and 32GB of storage. The PureView camera features a 41 megapixel sensor, optical image stabilization, Xenon flash, LED flash, and f/2.2 lens. It’s available in yellow, black, or white. If you’re looking to pay less money up-front, you can have it for $149 by signing a 2-year contract with AT&T.